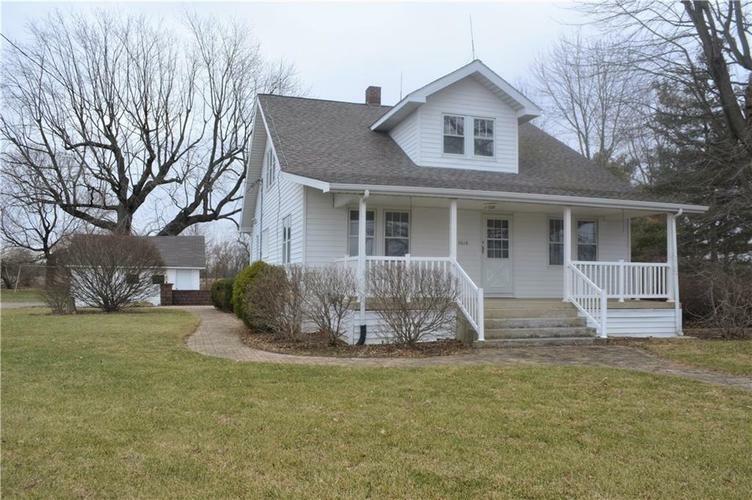 This beautiful farmhouse its on a large 1.7 acre lot conveniently located with easy access to I-69. The covered front porch welcomes you into the formal Living Room and Dining Room w/ built ins and hand scraped hardwood floors. The Kitchen has been updated with quartz counters and stainless appliances. The Main level Master Bedroom suite offers an updated Full Bath and huge (possibly 4th BR) closet. 2 upstairs Bedrooms w/ large closets, desk nook, and 3 walk-in storage closets. The interior of the home has been freshly painted. Enjoy the new concrete steps to the brick paver patio and tree lined lot including apple and pear trees, a beautiful 200 year old Maple and blackberry and raspberry bushes. Directions:I-69 to SR 13. Turn south and take SR 13 approximately a mile to property which will be on the left (east) side of the road.